The ICAT strategy at Joseph Brant Hospital focused on the interoperability of services between the existing facility and the new facility to allow for seamless delivery of care across the campus. 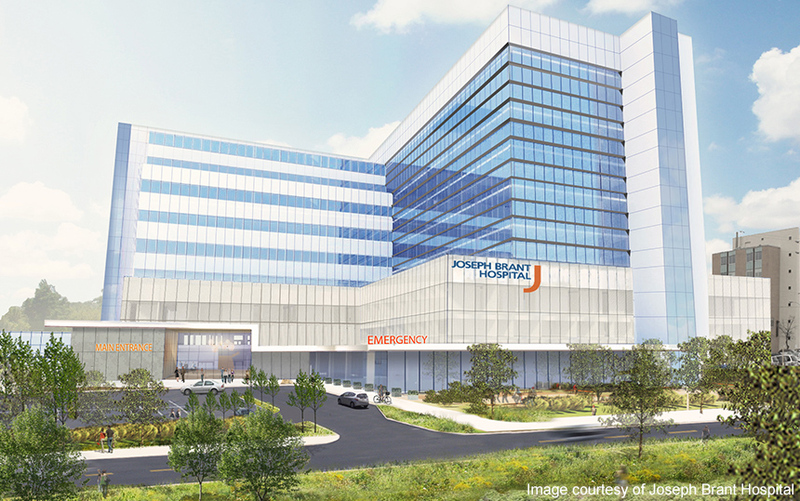 Angus Connect has been engaged to develop Joseph Brant Hospital’s ICAT Vision, and to assist with the planning, procurement and implementation of the ICAT strategy. This ICAT project is aligned with the P3 procurement project of a new patient tower and renovations to the existing facility of approximately 500,000 ft2, with completion expected in 2018. The ICAT strategy includes existing and new hospital information technology, communications and automation systems, including the wired and wireless network, real time locating system (RTLS), nurse call, security, etc., as well as peripheral IT device planning. The Angus Connect team has taken the project leadership through strategic visioning sessions, and facilitated user groups to understand the operations and create the functional requirements, which were translated into the technical requirements for ICAT and used to inform and develop the Output Specifications and Technical specifications. One of the challenges of the project was for users to envision how emerging technologies would fit into their current workflows and processes. Our team uses a Lean approach, walking through current state processes and challenging users to see best practices, and to understand how ICAT systems would play a role in the future state. The Angus Connect team coordinated various funding sources to prioritize solutions with alignment to the strategic plan. By doing so, the hospital was able to strategically balance its future vision with the organization’s capabilities to roll out an Implementation Roadmap.